MACV Compound at TAN CAHN, 1969. TAN CAHN, 1969. SP4 Pierce. Robert Thornton, TAN CAHN, 1969. Either at DAK TO, or TAN CAHN, 1969. Yeah, the Monkeys got thirsty too. 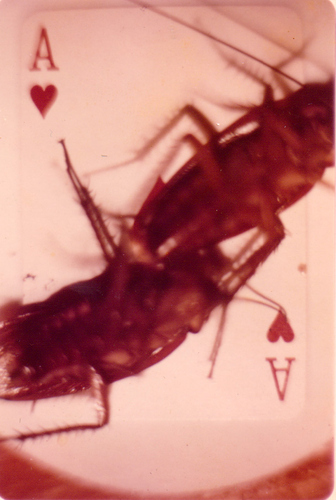 Two Cockroaches on an Ace of Hearts.